Lawn Concepts is born and bred in this community and we have been servicing it for more than 13 years. As a lawn care Midcities TX company, we wanted to offer our friends and neighbors high-standard services, the most affordable of prices and plenty of warranties that what they wanted was what they got. Since we built our reputation on transparency, honesty and quality, we expanded our basic lawn care services to fertilization and weed control. We implemented thorough, science-based, adaptable 7-Step fertilization and weed control program which soon became an industry’s standard. While lawn mowing and shrub trimming can be performed with success by homeowners as a hobby, fertilization and weed control need skills, experience and interconnected knowledge of horticulture, chemistry and environmentalism. Pouring store-bought substances on your lawn and vegetation without knowing the soil’s pH, the types of weeds you want to deter and the interactions between the said chemicals and weather conditions can lead to severe lawn damages and environmental imbalances. Our 7-Step fertilization and weed control program covers all these aspects and then some. We offer applications and treatments all year long, with a 5-to-7 weeks frequency, thus covering all seasons and their inherent challenges. We know that one size doesn’t fit all and your neighbor’s fertilization and weed control program won’t resemble yours. This is why we became an industry’s trademark: our fertilization and weed control treatments are tailored to deter weeds and strengthen the health and resilience of your soil and vegetation without negatively impacting the environment. We offer free estimates (via phone or email) and free service calls. We only use hi-tech equipment and build our interventions on the latest findings in horticulture, agriculture, chemistry, and environmentalism. 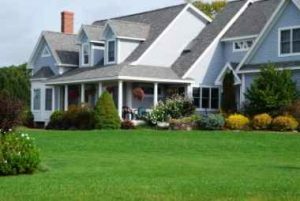 We only work with licensed and certified employees and our fertilization and weed control programs are in full compliance with state’s regulations. Contracting a lawn care Midcities TX company has never been easier: you don’t have to sign a contract and we don’t burden you with hidden fees; we offer the option for online payments or auto-pay setup; you can always request or add new services to cover all your lawn’s needs; you have full access to our technicians’ service notes and so on. We are people of our word, so you don’t have to call us every time an application is necessary. Once we set up a schedule we will respect it and show up at your door as promised. There is no risk in working with us or hiring our fertilization and weed control services. Our lawn care Midcities TX services come backed up by our 100% Money Back Satisfaction Guarantee: should you not be 100% happy with our results, we will redo the job or refund the money for the last application!